Each Wednesday night and Sunday morning, our magnificent Sanctuary Choir offers up worship and praise to God with joy and passion. Sanctuary Choir is open to any adult who enjoys singing. No audition required! 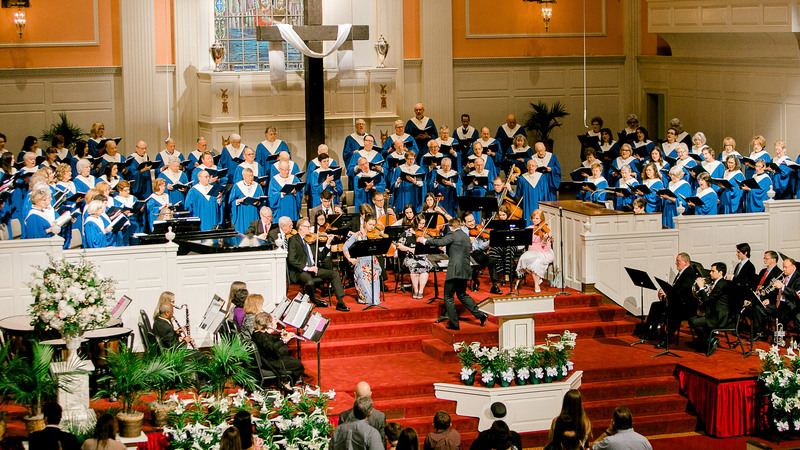 Sacred concerts and seasonal presentations are the hallmark of this ministering community of singers. Contact: Jan Cleveland, or join us for a rehearsal. and mission trips. An interview and/or audition may be required. The Adult Handbell Choir is open to adults who can read music and have skills in handbell ringing. Our Handbell Choir plays in the Sanctuary worship service several times a year, as well as for special musical events during the year. We hold weekly rehearsals on Monday evenings.